It seems like all people can talk about these days is how tired they are all the time. Although I don't stay up to the wee hours of the morning every night like some, I know what it's like to be tired a good amount of the time. I did a little research and found some reasons and solutions for this problem - read about some below! Waking up at noon on the weekends and then hearing your alarm go off at 7 am during the week is a common thing for high schoolers, and it definitely makes you more tired. If you fall victim to this (I know I often do! ), then you may know how much it messes up your internal clock. Even though it's difficult, try to go to bed and wake up at the same time every day so your body is better adjusted. The blue light that comes from your phone, laptop, etc actually interferes with the release of melatonin, the hormone that helps you sleep. Checking your notifications throughout the night keeps you more alert, so keep your phone far away from your bed to avoid temptation. I don't know about you, but if I haven't done something active during the day, I have a harder time falling asleep at night. There's something about tiring out your body that causes you to sleep so much better throughout the night, so even if it's only for 30 minutes, do something active! As you would think, being stressed and worried about everything you have to do can definitely cause you to not get as much sleep and be more tired as a result. Do a little meditation or some yoga before bed to calm yourself down, and if you're worried about forgetting things you have to do, keep a pad of paper next to your bed to write them down in the night. I personally really suffer from this, as I often resort to watching endless Youtube videos or episodes on Netflix instead of going to bed :) Sleep procrastination is a scientific thing now and people who do it get a lot less sleep than those who don't. Another hard one to avoid but try not to watch too many episodes of Friends before bed! 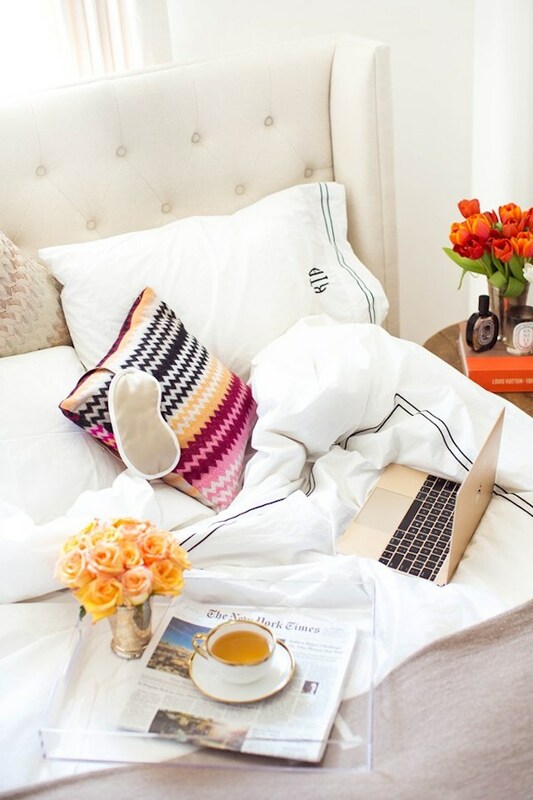 love that you are tackling this --and how adorable is your bed? That lucite tray a favorite of mine too! I love these tips, I have been getting far too little sleep lately! These are great ... you're hitting the sleep nail on its head! As an older person (past 20) and one who transcribed in a large clinic a few years, something that plagues an increasing number of prople is 'sleep apnea.' It more frequently is seen in overweight people of all ages but people with it aren't always overweight. IF all your above possible causes aren't applicable, I'd seriously have a doctor investigate other causes and examine one's airway. He may check thyroid hormone levels and if that's okay MAY recommend a sleep study ... harmless, non-painful, comfortable ... and they do provide sleep medication if one isn't falling asleep in a timely manner ... some folks just don't sleep well in a strange place. Try taking a melatonin tablet prior to going to bed.... 3mg. My husband did not sleep well for years. He started taking melatonin a couple of months ago and now he sleeps well through the night. They are sold in the vitamins aisle at your drug store. Truths--all. Plus add to them eating and drinking habits. Definitely stare at my electronics far too much! 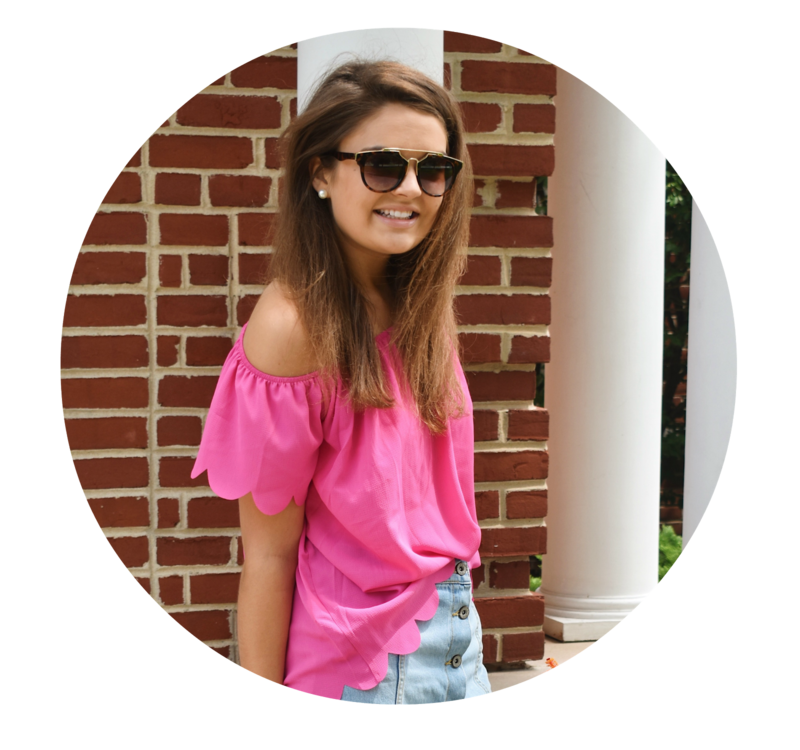 I am so guilty of everything... Great post! Sleep procrastinating is probably my biggest downfall! Especially when the sleep procrastination includes staring at electronic devices.. haha. Great list! I need to take your advice to do yoga or meditation before bed. Even just stretching helps calm you down! I have found eating too many carbs, junk, or things such as wheat can cause lots of issues for me. It could be different foods for everyone, but makes a huge difference for me.